Never shy, Donald Trump issued another controversial statement last week that has taken on a life of its own, proclaiming Hillary Clinton hates the second amendment and will take our guns away. “She wants to destroy your Second Amendment.” Trump said during a rally in Miami, Florida. Trump was hinting at the hypocrisy that a politician that needs armed protection wants to restrict and possibly ban firearms while calling for all new types of regulations for owners. Clinton has already declared she wants to reinstate an old twelve year “assault weapon” ban that didn’t prevent violence the first time it was passed. “Now, you know she’s very much against the Second Amendment, she wants to destroy your Second Amendment — guns, guns, guns, right? I think what we should do is, she goes around with armed bodyguards like you have never seen before, I think that her bodyguards should drop all weapons, they should disarm, right? 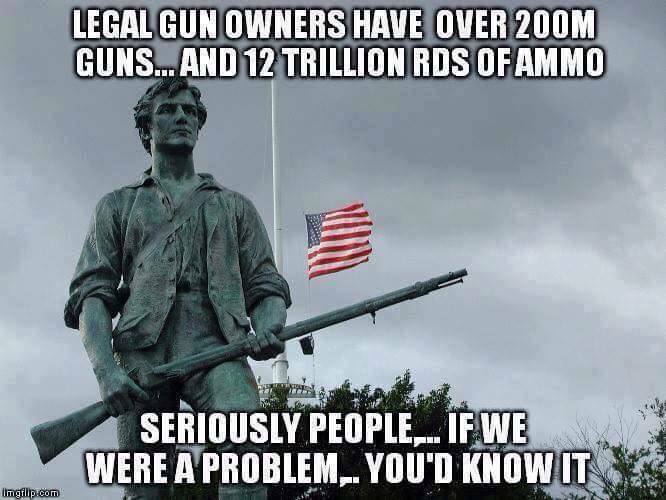 I think they should disarm. Immediately, what do you think? Yeah, take their guns away. She doesn’t want guns. Take their – let’s see what happens to her. Take their guns away, OK? It’ll be very dangerous.” – Donald Trump. This isn’t the first time that the media has reported Trump’s pro-2nd Amendment stance as a veiled threat against Hillary Clinton. Back in August, Trump said, ” if she gets to pick, if she gets to pick her judges, nothing you can do, folks. Although the Second Amendment people, maybe there is, I don’t know.” While Trump insisted he was saying the pro-gun people can protect the 2nd Amendment by voting, the media suggested Trump was talking about Hillary’s assassination. Ironically, many on Twitter have called not for Hillary’s assassination, but for Trump’s. After months of the media drawing tenuous comparisons to Hitler, one Mexican man made a video calling not only for the death of the Republican candidate, but for people to bomb and shoot his supporters. Hillary supports expanded background checks and allowing the families of gun violence victims to sue gun manufacturers. This is a controversial move that would put the gun suppliers/producers at legal risk for allowing the sale of such a “dangerous” weapon. Hillary called for an outright ban of all assault rifles reinstating assault weapons ban after the Orlando Attack, a dangerous proposition that would restrict law-abiding citizens from owning guns, but fail to prevent access for criminals. “We know the gunman used a weapon of war to shoot down at least 50 innocent Americans and, you know, we won’t even be able to get the congress to prevent terrorists or people on the no-fly list from buying guns,” – Hilary Clinton.